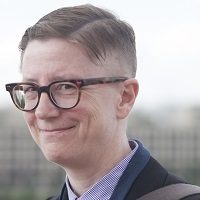 Allison Miller earned her PhD in history from Rutgers University - New Brunswick and for two years held a Mellon postdoctoral teaching fellowship at the University of Southern California. She is the author of "Am I Normal? American Vernacular Psychology and the Tomboy Body, 1900-1940," published in Representations (Spring 2013). Before entering graduate school, she worked in magazine publishing, with staff positions at Lingua Franca, Paper, and Cosmo Girl. Allison's reviews, essays, interviews, and reported pieces have appeared in The Nation, Newsday, Dissent, In These Times, the Village Voice, and Stay Free!, among other venues. She became editor of Perspectives on History in June 2015.